What advantages does a 3 wheeled rollator have over a 4 wheeled rollator? Three (3) wheeled rollators/walkers have the advantage of maneuverability. They can easily get around corners and tight spaces because of its smaller frame and tight turning radius. 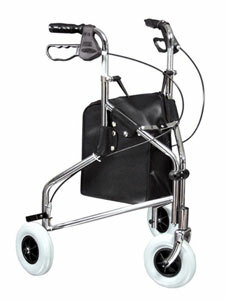 Four wheeled rollators/walkers have the advantage of being more stable for the user. In most cases it comes down to user preference and cost when making a decision between the two. 4 wheeled rollators are typically a bit more expensive than the comparable 3 wheeled variety. 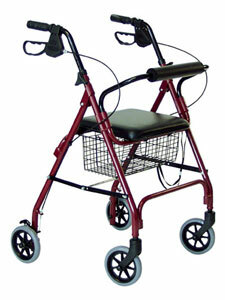 Some rollators also allow for an optional seat accessory that will allow the user to take a break if they were to get tired while using the device.